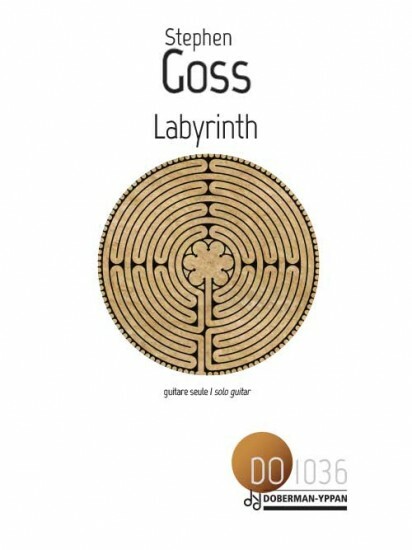 Labyrinth encourages the performer to make creative interpretive decisions: the score is deliberately ambiguous. The piece follows the journey from the entrance to the centre of a labyrinth. 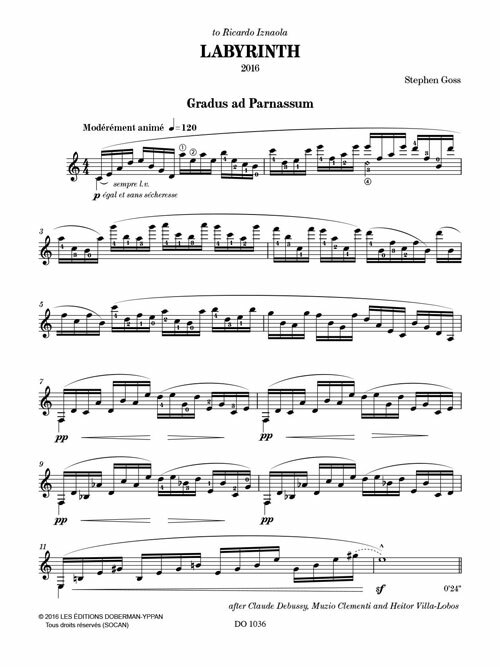 After the opening section, Gradus ad Parnassum, the performer is presented with eleven fragments or sections of music which must be played in a different order every time the piece is performed. When a corner is turned in the labyrinth, a new fragment of music is heard – unexpected and unrelated to the previous one. There are 39,916,800 possible orderings of the eleven sections. Once all eleven have been heard, the work concludes with a brief coda, Glauben wir!, which represents the centre or goal of the labyrinth. The fragments themselves are based on pre-existing music from the 12th Century to the present day – or pretend to be. They are given to the performer as puzzles to consider. One or two are quotations of pieces (originals), many are reworkings from one or more original sources (palimpsests), and some are either pastiches or elaborations of hypothetical models (fakes or forgeries). The challenge to the performer comes in how to interpret the fragments and how to contextualise each one amongst the others. There is no correct or perfect order of sections – each order presents its own opportunities and obstacles. The piece draws on a number of references to labyrinths – for example; Umberto Eco’s 1983 novel The Name of the Rose, Mark Wallinger’s Labyrinth (a 2014 installation in all 270 London Underground stations), the poetry of Jorge Luis Borges, and James Joyce’s Ulysses.